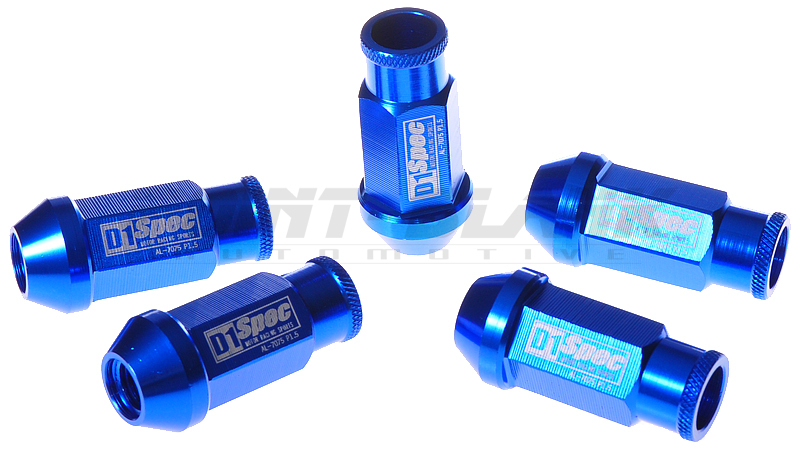 D1 Spec Racing Wheel Nuts are made from a very light and strong material - 7075 grade aluminium alloy - weighing in at just 25g per nut, whilst at the same time they are much stronger and harder than heavy factory steel nuts and even many aftermarket alloy nuts. The material and manufacturing process increases the hardness of the surface to the HV330 specification, which is 33.6% harder/stronger and 62% lighter than standard alloy wheel nuts. 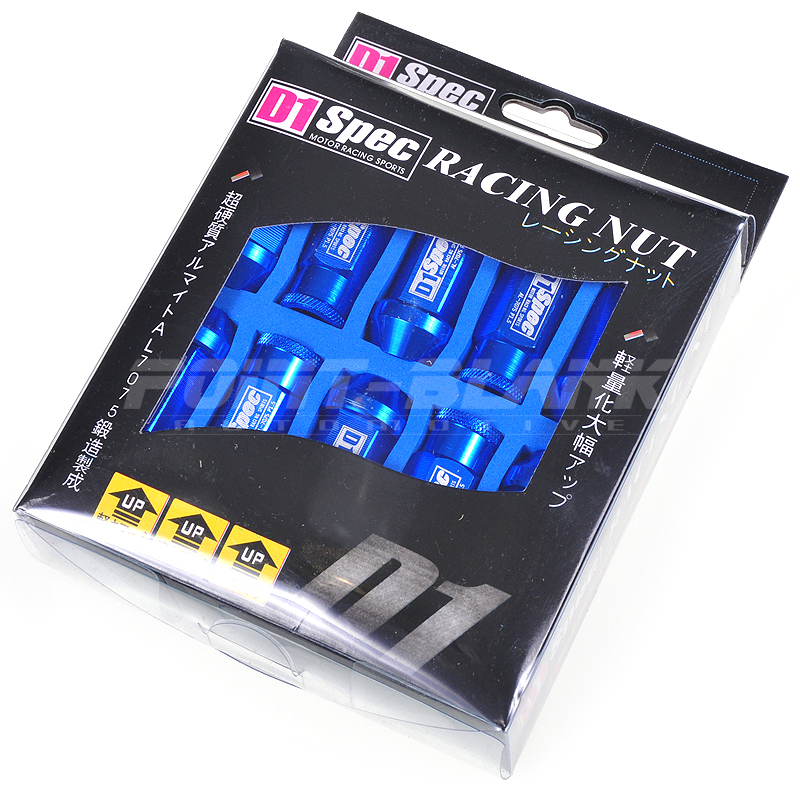 These nuts are suitable for street and track racing applications.